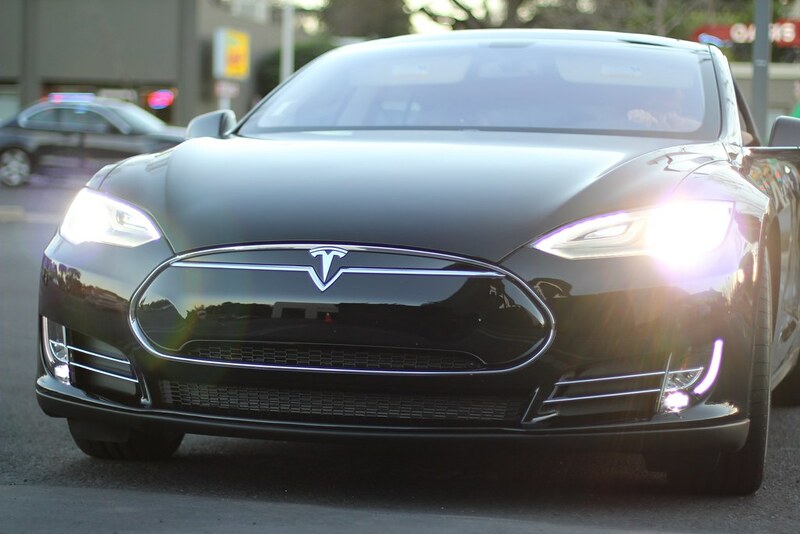 Fivesecondtech: Electric Cars - Where are they at in early 2017? One thing I have been passionate about for a while now is electric vehicles. In my mind, they seem like the future of transportation and offer an unbelievable ability to use many different sources to generate their power. It might be worth looking into how energy is produced in your area because lots of places still use a lot of fossil fuels such as coal to produce their electricity. I should mention as a disclaimer that I do not own an electric vehicle because I live in an apartment that has no place to charge it but do hope to own one someday soon. I still am an enthusiast and have managed to learn a lot about them over time. My current favorite reasonably priced electric car is the Chevy Bolt EV. This car offers a lot of great features, but best of all it can go 238 miles on a single charge. Although, this places it in an unusual position. It can travel quite far on a single charge definitely farther than any sane person would want to commute to work, but it also allows for most day trips to be able to be completed on a single charge. It still has a lot of problems with long distance travel, and it is extremely lacking in its ability to plan routes based on electric charging stations. When it comes to long distance travel, no one has beaten the Tesla. They have an elaborate network of chargers and offer built-in features to help you find them, but this all comes at a price. Currently, they are the most expensive electric vehicles on the market, but they will be starting production soon on the Model 3 which will be even cheaper than the Chevy Bolt EV at 35,000 and still offer a 215-mile range. It will also feature many of the other benefits that Tesla offers including hardware for autopilot. This makes it a great deal in the long range electric vehicle market. They also offer up to 351 miles on their very expensive Model S if you get the bigger battery. Most people will never need that kind of range on an EV, and there are a number options that are ideal for city driving and can offer significant savings over the longer range vehicles. One of the best examples of this is the VW Golf Electric car. This car can go 83 miles per a charge and only costs 21,495 after federal incentives. This is a great value for general commuting and city driving needs, which is what most people need their vehicles for. It may be a little bit concerning if your commute does push you toward 83 miles, but if you could charge at work that would solve that problem completely. As far as vehicles go these are some of the best options out there. Some other factors to note are that you will need to install a charging port in your home. Although most of these vehicles offer charging from a standard outlet, you will need a faster way of charging. This can be expensive to install and will likely require a visit from an electrician. One of the biggest benefits of an electric vehicle is how little service they need. Most of them don't need oil changes and features like regenerative braking can save on your brake pads, and the electric motors themselves can last a very long time. The biggest fear is having to replace the battery pack. This is a legitimate concern because of how expensive they are, but they are designed to last a very long time. Roughly 10 years or more on many vehicles. They also are continuously dropping in price which means it will likely be much lower in price when it comes time to replace it.